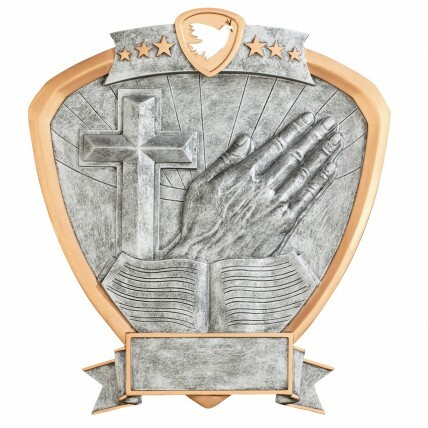 These simple but elegant Worshipping Hands Resin Awards feature a cross, praying hands, and scripture with gold accents. Made of cast resin, this award looks like pewter with the feel of a plaque. It can be either hung on a wall or displayed on a desk by attaching the included metal rod. Award size is approximately 8.5" tall by 8" wide.